The perfect compliment to your Gameday outfit! This Infinity Scarf is lightweight and features a honeycomb pattern. 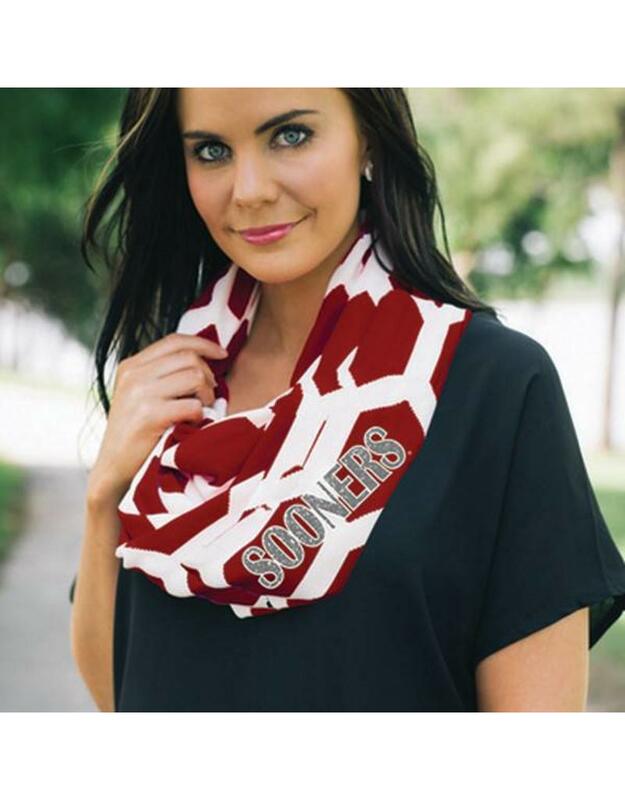 The Sooners embellishment is a mix of glitter and matte print.